How often have you heard this at a cocktail party: “How green is your thumb?” or “My tomato plants are flowering and my eggplants are ready to be harvested.” I’d venture to say, with some degree of certainty, never! The subject of urban farming and gardening isn’t one that attracts a crowd. However, food is a required necessity to live a healthy life and garden-related sales continue to grow year in, year out. Why hasn’t the subject of growing in urban centres hit the Billboards yet? There are a few theories floating around. Farming and all of its inputs are rarely seen in the big cities where the world’s populations are migrating to en masse. Furthermore, gardening just doesn’t attract the same lust that a new Tesla does or clicks that a new way-cool FB page garners. What is a farming or gardening enthusiast to do? Look no further for Grow Taiwan is here to soak up your green thumbing tears and replace them with a different weekend activity - Do-It-Group (D.I.G, pun intended) farming systems! Let's dive in and unearth (oy!) some thoughts on Urban Farming. Urban Farming has grown with such popularity recently it’s almost up there with the “.com” era and Lady Gaga’s latest album release. What value does this idea of farming in the city really hold for the average city dweller? 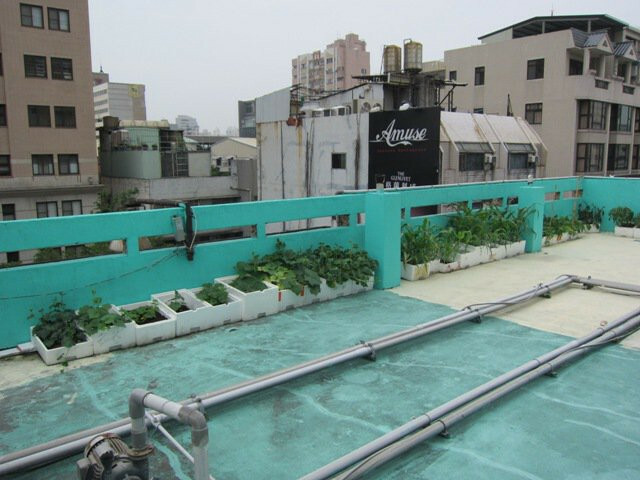 Check out the Cabbage Cooking Lab on the top floor of the Qin Mei Shing Green Park Road 勤美誠品綠園 Shopping Mall on GongYi Road and you’ll take in the absolute value of the rooftop farming craze. I was in the lab last month and was awestruck by the variety of produce inside of the large rooftop garden. It was filled with vegetables and fruit, and it is all grown for customer dishes served in their lounge. Talk about farm-to-table! Looking for something a little more down to earth? Go for a stroll around the city and you will see gardens filled with herbs, styrofoam boxes full of green leafy vegetables and clay pots overflowing with enormous aloe vera plants. 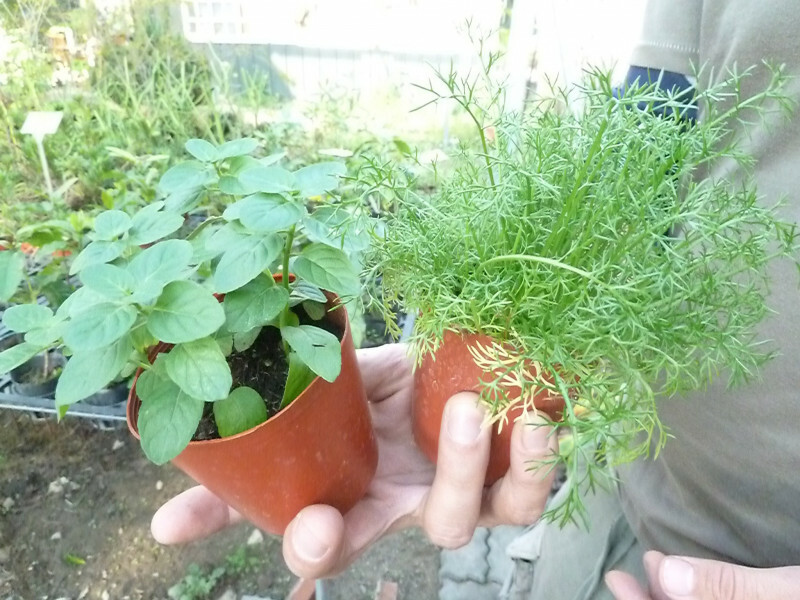 It’s remarkable what a simple box and a bag of soil can do for the beginner green thumb! Grow Taiwan is made up of 3 friends working side by side creating fun, interactive and educational workshops for folks living in and around Taichung City. Over the past several years, Rafal, Charl and myself have been looking at different ways to attract schools, restaurants and everyday consumers of food (you!) to the benefits derived from growing their own food. Consider the perks - environmental, health, wallet - and you just might want to consider growing and sourcing locally. 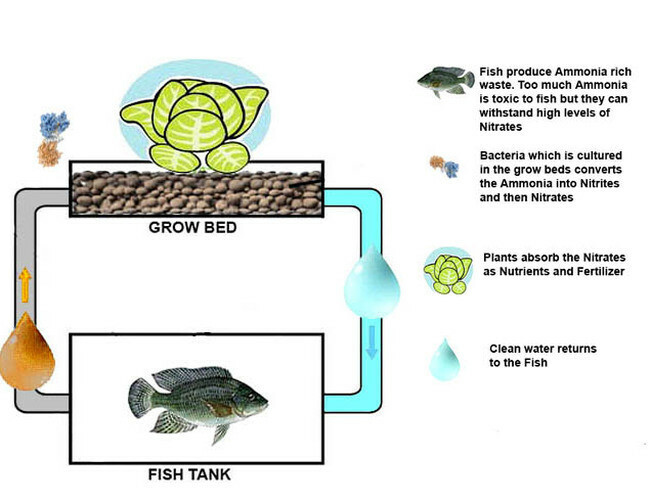 While Aquaponics is one of our main drivers in this area, there are no limits to what systems can be designed and used. In fact, monthly meetings have been scheduled with the idea to study, understand and even build different systems for different Urban Farmers in mind. In November, members of the Taichung community worked alongside the guys at Grow Taiwan building a bucket system. Everyone had a fun time and we are looking forward to many more events in the months to come. Now that you know that there are other farmers just like you, there are few (if any) excuses for not going out to your local garden center to pick up a few items or sign up for future Grow Taiwan gatherings. Where can you find more information on future Grow Taiwan D.I.Gs? Simply go to our FB page at Grow Taiwan or check out our Meetup.com page Taichung Gardening for more information. There are plenty of websites, FB groups, and social gatherings in Taichung and Taiwan to whet your appetite for the big dig. What are you waiting for? Go out there, toss some soil around and plant a few seeds. Your friends in the city will thank you for it - and may even ask for some tips on how to grow the best cabbage this side of HeHuan Mountain!